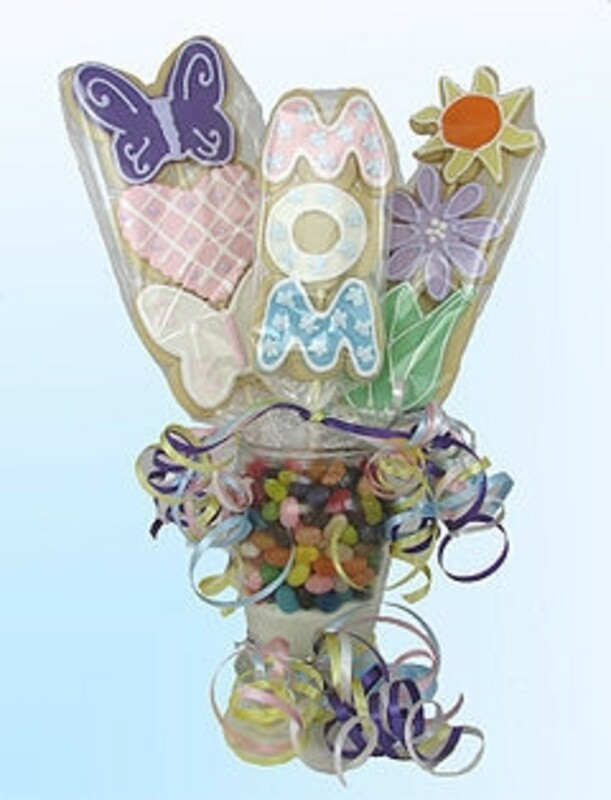 What a joy it is to be a mother this mother’s day, no I am not thinking of the celebrations or the mother's day gifts. I am expressing the joy of being a woman and then a mother. The happiest moment of my life, if I honestly had to rate it was the day I held my little baby in my arms, the feeling of completeness that swept over me is something I cannot express in words, I marveled for hours looking at those perfect little hands and feet just like you did as a mother. The miracle of life does not pass us by untouched. Those moments of pride and joy seeing your little miracle gurgle with laughter and that angelic smile as your baby sleeps is reason enough to live. Oh! what a joy to be a mother! When the long and uncomfortable wait (for most women) ends in a miracle of a healthy, happy baby, nothing can compare to that joy. The careful scanning of the internet and every book of baby names just to find that unique, special and meaningful name of this bundle of joy is the most pleasurable task a young mother could ever wish for. The endless arguments over whether the baby said 'mama' or 'dada' when the baby starts babbling was another of those unforgettable joys of being a mother, but the mother always wins. We have an unfair advantage over the dad’s of the world and for good reason. The endless hours of sterilizing bottles and washing nappies weren’t the best of jobs, but I wouldn't have traded them for anything else . Mmm..the baby smell, all the perfumes of France (or Arabia as lady Macbeth would have said) couldn’t hold a candle to this. I can still remember that wonderful smell of life which makes me feel so good after so many years. It is amazing to see your little angel grow up and express his/her wishes, no more of what you choose, but what they want. The demands grow louder, as do the pranks and the games of childhood. There were times when I wished that I was single and carefree. Nah, but they did not last long, they never did. It was just a momentary feeling and then back to the business of being the mother. Once a mother, always a mother! I am glad to celebrate mother's day just so I can reminiscence and trek back to those days. Sterling Silver "A Mother Holds Her Child's Hand For A Short While and Their Hearts Forever" Open Heart Pendant Necklace, 18"
A woman becomes a human, after becoming a mother, the selfishness and the 'its all about me' attitude gives way to ‘I can be the last’ attitude. I don’t know about you, but my life as a mother turned me inside out. The days of nursing a sick baby back to health, fighting against the powers that be, to save your child and protect your little one from any harm, becomes the focus of your life. The very core of your being changes. The bonding that happens, the emotional highs and lows makes life worth living, infact I would ask for an encore. Somehow I can never understand when people make a big issue about a mother’s sacrifice, I am sure if you ask any mother she will tell you that any sacrifice is well worth the joy of being a mother. When I saw my son graduating a few days ago, I was teary eyed. It was the first time in a long time I was at his school and didn’t hear him on the Piano. A few months ago I wrote a poem for my son on his 17 th Birthday. I was totally crumpled, the very thought of having to let him go and seek his future was chocking me emotionally. I dread the day and it is nearing, when he will leave me for the distant shores, yes it will be a joy to see him make something of his life, but to let go of my baby is so hard. Even as I type these words the same emotions crowd in on me. I know that he will soon find his emotional anchor somewhere, but my life will always be centered around him – the joy of being a mother. Mother, mother, mother - all the way! The strains of the keyboard will always evoke memories of the young man who hung around me wanting to know my thoughts and my opinions in all that he did. I may have an empty nest soon, but a million memories to keep me warm through the cold days, to make me smile in my sad days and to make me keep going all the days of my life, for now I am a mother! My children are the love of my life. I remember the day he came back from school, bruised and limping, my heart forgot to beat for an instant. He told me he was hit by a car, I screamed in my mind like a crazed woman (I could not panic in front of an already shaken child). I could not think of what would have happened. I couldn’t imagine loss, or think of enduring a meaningless life. Oh! yes, if you are a mother you are trapped in your love for your kids. You know someday you may not be needed, but you still wait for that one single word – “Mama". An eternity can pass by just reliving those moments that you may not have caught on camera and immortalized, but they are ingrained in the incorruptible hard drive of your mind, that will serve up the pictures any number of times, anywhere and everywhere. It is worth any amount of sacrifice or pain to be a mother! I will be a mother once again if I had the chance. Mother of mine - sweet mother! I never had a great relationship with my mom, I could hardly call it that. She was a career minded woman, with little time for me, the last of her brood. Lost among the boys, I was forgotten to say the least. When I look back, I can understand my mom, she had a hard life, a single mother in her late 40’s after she was widowed, she had to do what she did. I admire her courage and strength. She may not have been the perfect mother, no one is, but I learnt from her mistakes. I vowed never to let my children fend for themselves and threw up my career on its upward spiral. I vowed to love them with all my heart, I vowed to teach them all I could, and today I see the results. Thank you Mom, your failure has been my success. Today I am more considerate and accepting, I know I am not as perfect as I would want to be…I am just a mother not a super human. Being a mother has opened my eyes to my imperfections. I love being a mother. I wouldn’t trade it for anything in the world! What a blessing, everday I do not forget to count my blessings!! I hope you do too!! Happy Mother's day!! 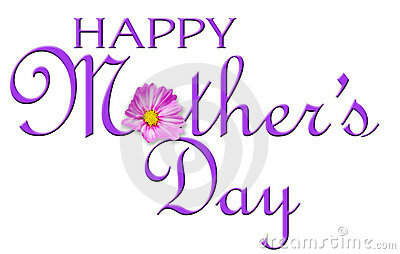 - to all the Mothers of the world!! I am made complete as a mother, yes the love of my life has made me happy but I guess that there was still a small vacuum that only a baby can fill. I would like to thank my children for making me what I am. I am proud to be your mom. Happy mother’s day to the mother's who have been through it all. I admire your guts and I salute you as mother on this day! You are a wonder woman; never let anyone or anything tell you otherwise! Happy woman’s day (everyday is woman’s day) and Happy Mother’s day once again from my heart!! Thank you for taking the time to read this emotional musings with me. Denise I am sure that you are an awesome mother. Yes, mother's day here and in UK is on April 3rd; while it is on the 8th of May in your country. But then Denise, every day is mother's day for a mother !! :) Thanks for the read and the hugs........((((((((((hugs))))))))))))) back to you!! Beautiful hub, Sofs. Happy Mothers Day. It is earlier to you in your country-ours is not until May, and so I thank you for bringing this awareness to me. :) Hugs. Genna, am I glad to find you... Thank you ..your sharing is precious to me. This is why I wanted to salute the mother's of the world. Mother's like you make this world beautiful and still worth living in. Love to you and many hugs and yes, have the most beautiful Mother's day ever. "the day I held my little baby in my arms, the feeling of completeness that swept over me is something I cannot express in words..."
I shared the experience behind these beautiful words. When I first looked down at my newborn son I thought; I don't know you, but I do know you, and I would throw myself in front of a train to protect you. "Captured sweet, the prisoner of your heart." The world shifts, forever, as we see it anew and know the miracle of life and a mother's love. Ruby, I know I broke my own rules, I try to keep the personal very personal,but somehow I need a release. Thanks for reading and commenting. I honestly appreciate this. I wish you a happy Mother's day well in advance. This is so beautiful, warms the heart. Being a Mother is a treasured gift. Thank you for sharing your story. Oh Tim, you are too kind. It was some of the pent up emotions that needed an outlet. I really hope that I am a good mother to my boys. That is probably all I would ever want to achieve at the end of it all. Tim, I highly value your support and friendship, thank you for being there. Oh my goodness sofs. You darn near brought tears to my eyes. You put so much honest emotion into this, I can almost feel it along with you. Congratulations not only on such a beautiful, heartfelt story, but on being such a superb mother for your two boys as well. Wow! you must be a wonderful mother and I am honored to meet you. I am with you in that even if your son is a father he is still your baby and you are still consumed by love when you look at him. What a lovely echo of similar sentiments. Yes, you are right about everyday being Mother's day, for me it is. Everyday is special, everyday is blessed and everyday I live for my kids, so it is mother's day. I am so glad to know that this tribute to mothers has gone to the right people. I do not usually write personal stories, today I needed to. Thank you TheBluestar, for the read and the beautiful sharing. Beautiful hub and such a great tribute to all mothers. I loved the way you described your emotions, they brought back many emotions I have felt rearing my son. One thing to remember, he will always be your baby even when he becomes a father himself, as my son has done recently. Although I think Mother's Day is a lovely sentiment, every day for me is a mother's day, I look at my baby and still feel consumed with love, and hope I always will do.